Usage: For finishing and polishing titanium alloy/pure titanium/ nickel-chrome alloy/ cobaltchrome alloy dental workpiece,such as for steel teeth/inner crown/steel frame/steel base finishing, smoothing and polishing. Usage: For finishing and polishing precious/semi-precious dental workpiece, such as finishing, smoothing and polishing golden teeth and golden inner crown. Usage: For smoothing and polishing the resin base. Usage: For finishing titanium alloy/pure titanium/ nickel-chrome alloy/ cobalt- chrome alloy dental workpiece, such as for steel teeth/ inner steel crown/steel frame/steel base face reducing and finishing. white alundum mixing with ceramic powder. Usage: For finishing titanium alloy/pure titanium/ nickel-chrome alloy/ cobalt- chrome alloy dental workpiece, such as for steel teeth/ inner steel crown/steel frame/steel base finishing face reducing and finishing. TOBOOM DENTAL CO., LTD is one high-tech enterprise, which involves R&D, production, sales and service as well. 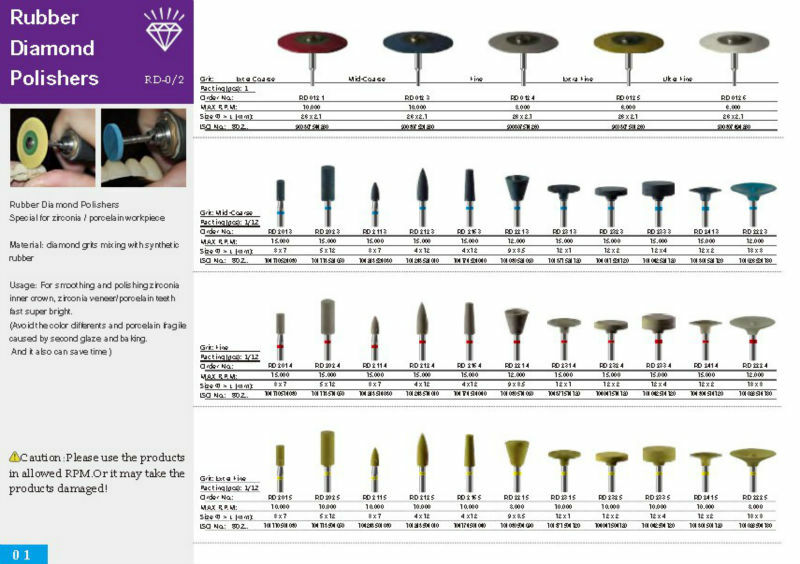 In the past 11 years, we devote to producing dental rotary instruments, rubber (diamond) polisher, silicone (diamond) polisher , ceramic damond ) grinder, diamond bur, cutting disc, root canal files, offering dental lab and dental clinic the solution of making high grade dental tools. 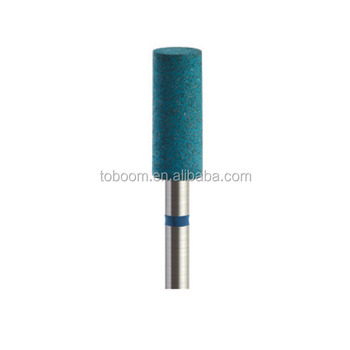 Toboom Dental Co., Ltd. belongs to Toboom Shanghai Precise Abrasive Tool Co., Ltd., and is specialized in the international business of dental rotary instrument/dental consumptive material. Here we have modern production base over 4000 square meters, professional R&D institution and technology team, which make us world-class company. Here all Toboom rotary instruments are designed produced, assembled and texted according to the ISO9001:2008. Till now, our products are sold to 150 countries, being the popular instruments in global dental laboratory and dental clinic. With the development of our Toboom, we would like to help more and more customers start their business in dental industry, offer them the best solution, much more advanced rotary instruments and better service. We can not only provide the good dental rotary instruments, but also wholeheartedly provide the comprehensive for our clients. The series of professional technology service will make you have an excellent product experience.